Demonstrating his extraordinary bravery and swiftness of action, regardless of his own personal safety, Lt. Murphy was the first responder to the Sikh Temple massacre of 2012 and engaged the assailant head-on, ultimately sustaining fifteen handgun rounds to his body, with an additional three rounds being stopped by his Armor Express concealable body armor. He stood between innocent men, women, and children and the brutal violence of a racist hate crime. 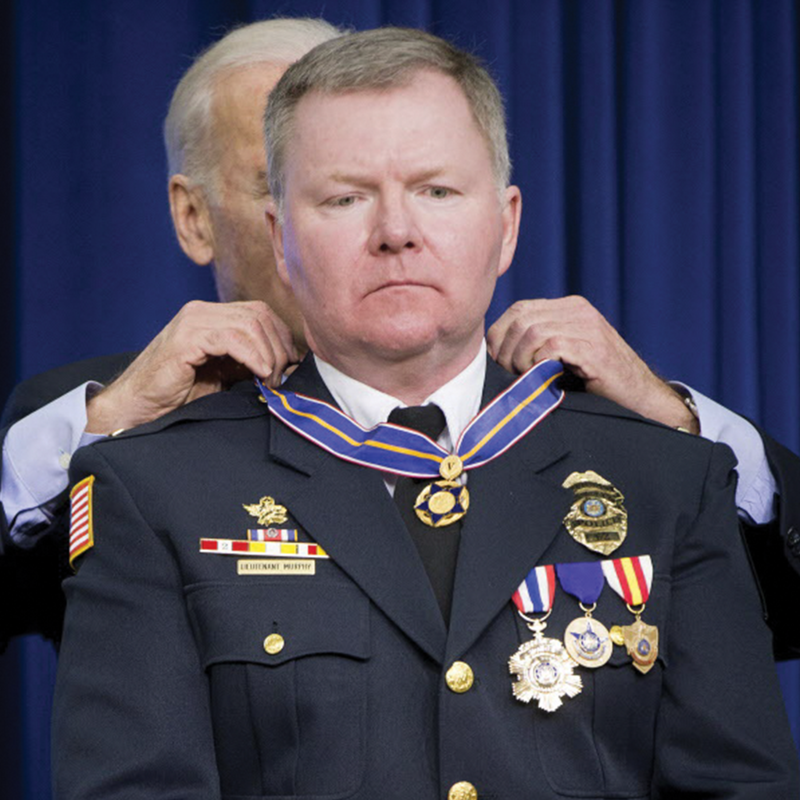 In 2015, at a national ceremony held in Washington, D.C., Vice President Joseph R. Biden, Jr. and Attorney General Eric Holder honored Lt. Murphy with the Public Safety Officer Medal of Valor for his exceptional courage and commitment to duty. Lt. Murphy attributed his survival following the 2012 Sikh Temple attack that left six civilians dead to his active shooter training, his innate warrior mindset to keep going and to the ballistic armor that stopped three bullets from penetrating his body. It was a natural fit for him to join the Armor Express family and lead the Company’s Saves Program, which honors and supports those who have faced death in the name of protecting the peace. 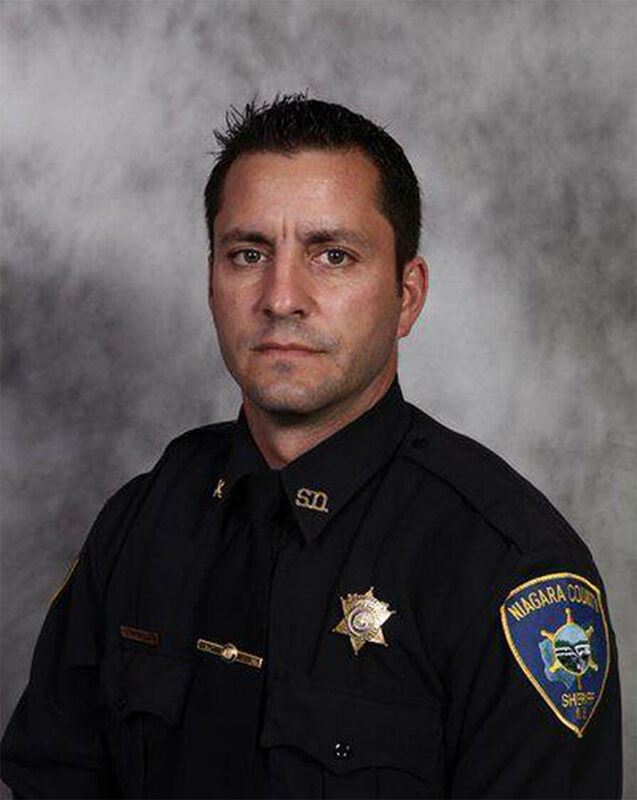 Under his stewardship, the AE Saves program is constantly changing to meet the needs of each officer and their families and continues to adapt and develop as the community grows. It serves as a conduit for healing. The Armor Express SAVES PROGRAM IS OUR UNCONDITIONAL COMMITMENT TO SUPPORTING THOSE WHO SERVE. On April 17, Tortorella responded to a 911 hang-up call at a residence in Wheatfield. While investigating the source of the call, Tortorella was confronted by an armed man who had just shot both his parents. Armor Express strives to honor those who have faced death in the name of protecting the peace. The AE Saves program, constantly changing to meet the needs of each officer and their families, continues to adapt and develop as the community grows. With each save, we learn more about officer and family needs, and how we can be a conduit for healing.